All spaces are uncovered. We rent to Motorhomes, Trailers, Boats, Automobiles,Trucks and Storage Containers. Our Highway Sign -Go West on Smith Enke past Wallgreens and when you pass Southern Dunes Golf Course you will see this sign at next road on the right. 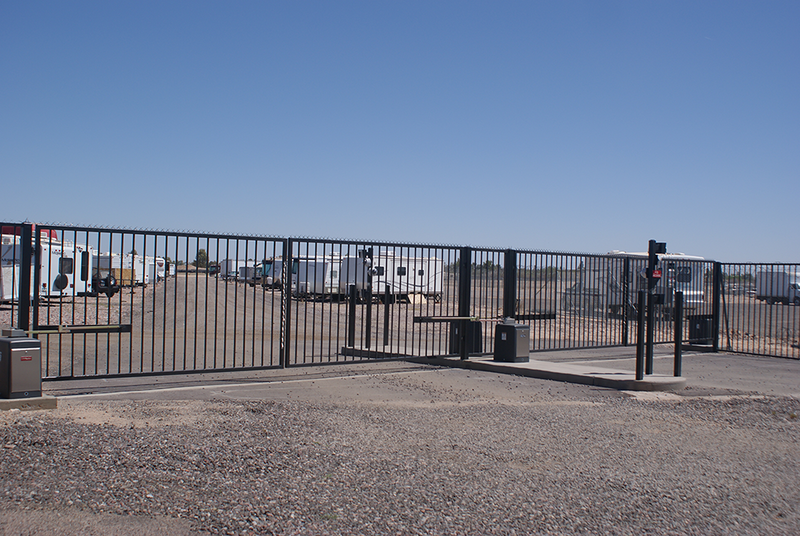 We are a high level RV Storage facility. 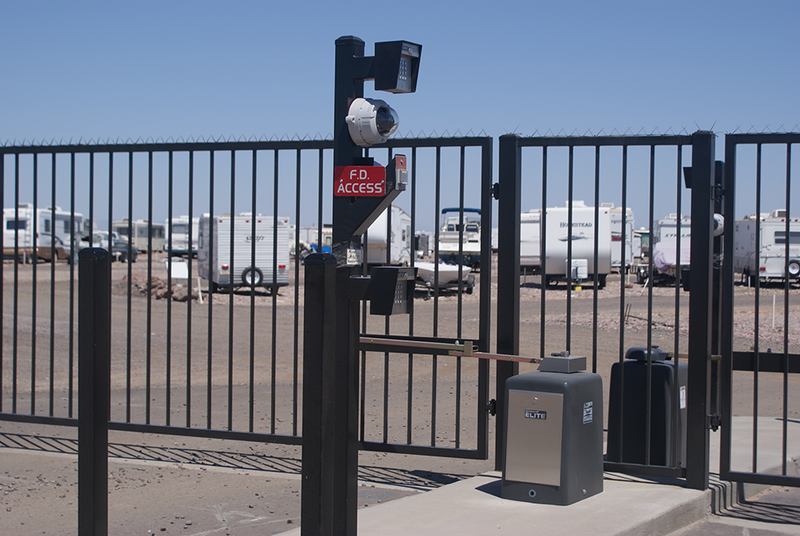 New state of the art gates, with cameras observing entry and exit, as well as activity in the yard. In addition we have a guard patrol the storage facility all night. 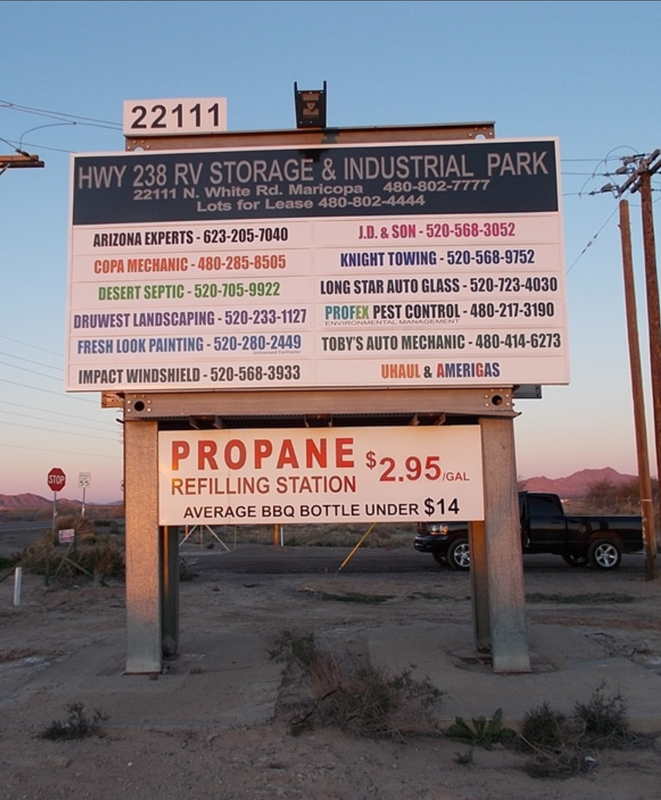 We offer a discount for propane customers who come from the RV yard. We are a full service Uhaul dealership, with trucks, trailers, auto transports, tow dollies and fully stocked with moving materials, boxes, packing material, electrical converters, matress covers, etc. We offer a comfortable in and out for propane customers no matter the size of the RV or transport vehicle.